Have you finally found the woman you want to give your last name to? Do not wait any longer. 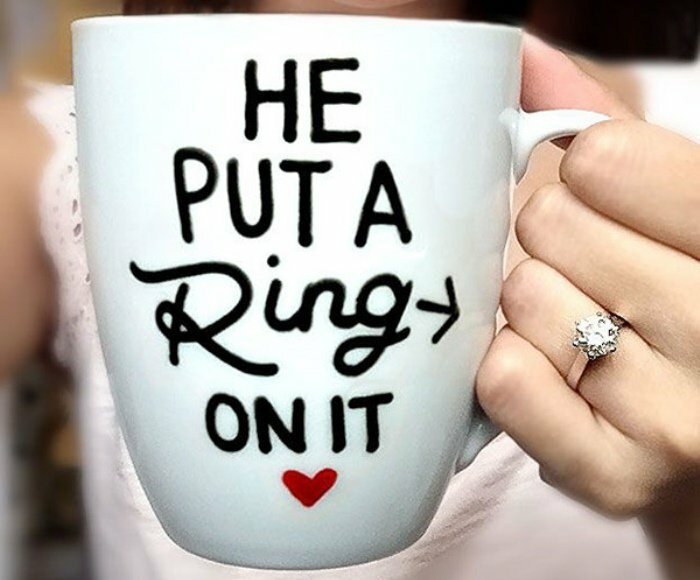 Put a ring on it! And that’s when it gets a bit tricky. 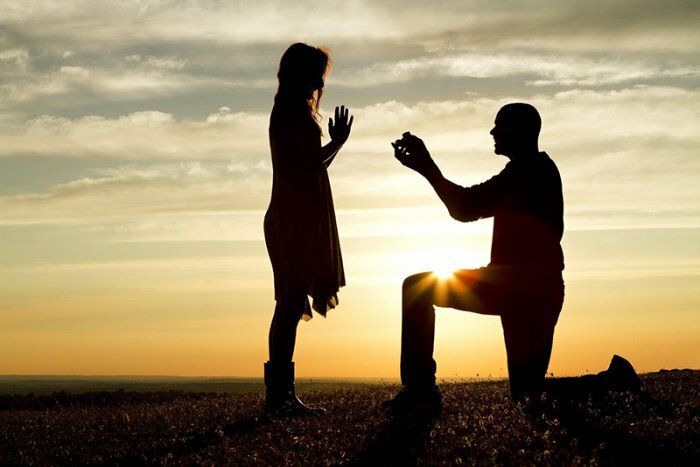 Finding the perfect ring that will show your feelings for your loved one as well as complement her unique style and taste is becoming more and more difficult. Nowadays, fashion has become a tool with which we show our personality. There’s a great emphasis on showing uniqueness in the way we present ourselves, with the wardrobe or shoes we wear and especially with the accessories we add to our look. Typical diamond engagement rings have become somewhat passé in the fashion sense. More creativity needs to be involved with picking the right ring. Don’t worry. We’re here to help you. Read this fashion guide on how you can make her engagement ring stand out and guarantee a “Yes!” when you pop the question. 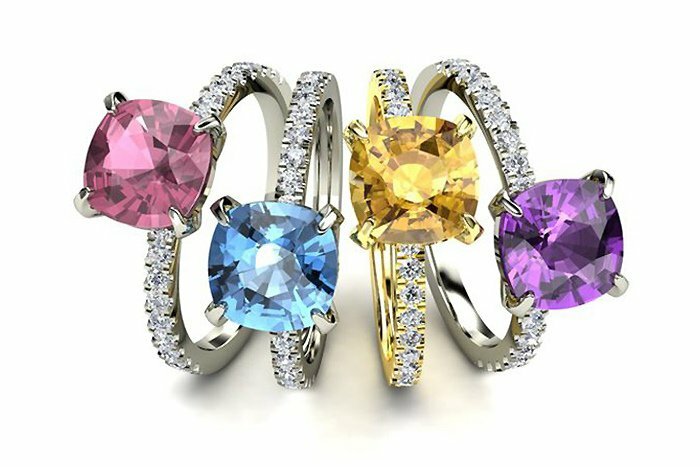 If the first thing that comes to your mind while thinking about the color you want the engagement ring to be is transparent, then it’s a good thing you’re reading this. Clear cut diamonds have become somewhat of a boring choice given the fact that there are so many other color options to choose from. Think of your soon-to-be-bride’s favorite color and start from there. Hugely popular, yellow diamond engagement rings are the perfect choice for women who like to stand out from the crowd, thanks to the singular yellow of the diamond. 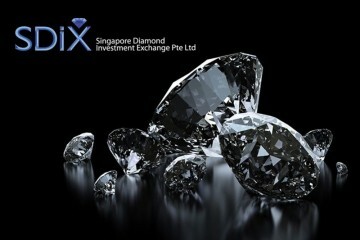 All women know that these diamonds are quite rare with high clarity grading, so your love for her will be crystal clear. If, on the other hand, her taste is softer, a pink diamond would be the right fit. With the fact that these diamonds are most sought after and among the rarest, your future bride is surely going to feel the same. If her style is on the edgy side, there’s nothing but a blue diamond that will seal the deal. Known as the most coveted colored diamonds, the striking beauty of blue diamonds will leave your bride-to-be speechless. Now that you decided on which color will best suit her personality and fashion style, it’s time to think about the shape. The round brilliant cut diamond is by far the most popular and most women wear the shape. If your future bride’s fashion sense is more traditional, you need not read any further. However, if you’re looking for other creative shapes engagement rings can have, read on. Princess unique cut with pointed corners and traditionally square shape is a favorite for engagement rings. Its pavilion, cut with rectangular facets to create a unique optical appearance, is what makes this shape stand out. It is the perfect choice if you want to highlight the clarity of a diamond because of its larger, open table. 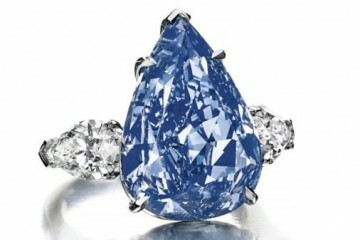 The shape of a marquise diamond can give you a much larger-looking diamond. The length of the marquise will make her fingers appear long and slender. Now that we’ve opened your horizons on how to blend your future bride’s fashion taste with the type of engagement ring she’ll be wearing on her finger, you are set on the right path. Make sure to put as much thought about the manner in which you’ll present it to her.